I wish I could take credit for this idea. My hubby called me last week to tell me about a cupcake he had, that tasted like Nilla wafers. I said, like my Nilla Wafer Cake but cupcakes, right?! Then, it was like someone turned on a lightbulb! The bells and whistles started going off in my head. What if I made a cupcake that was Banana Pudding themed?! You know… the yummy gooey stuff made with Nilla wafers, Vanilla Pudding, and Bananas! Of course you do! 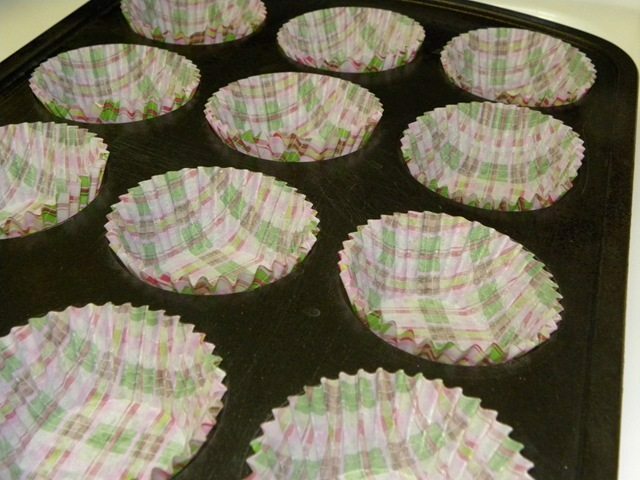 Prepare a cupcake pan, by lining it with cupcake liners. 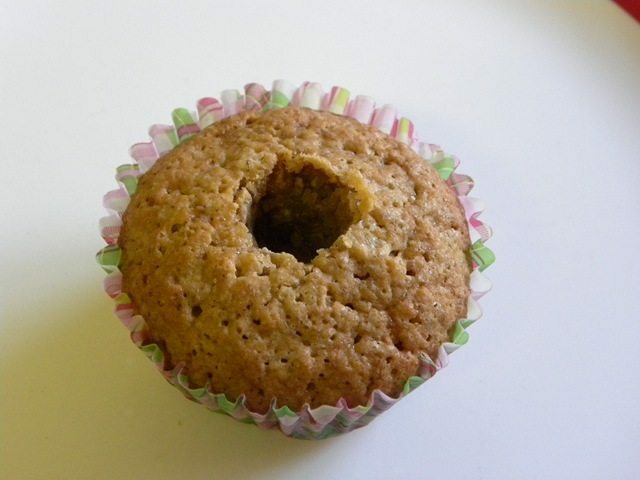 Mix up a batch of Nilla Wafer Cake Batter, and fill cupcake pan 3/4 of the way full. Bake for 20 minutes. Allow cupcakes to cool. While cupcakes are cooling mix together the filling. Wisk together the Jello pudding mix and milk and refrigerate until set. It will take about 15 -20 minutes. 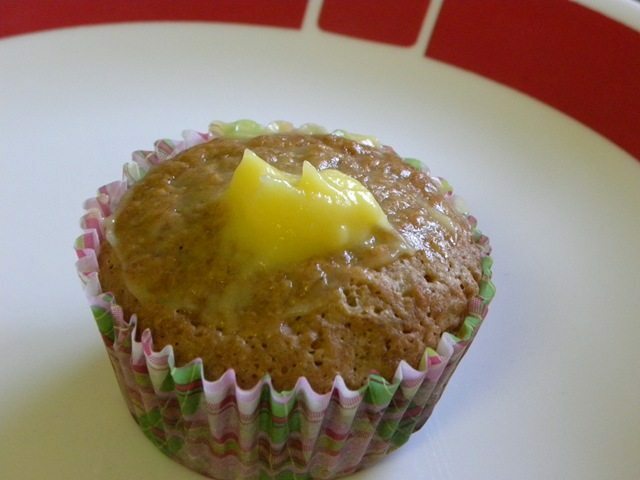 Once cupcakes are cool, take an apple corer, or melon baller, and take a small piece of cake out of the top. Spoon or pipe the pudding inside the cupcakes. Then decorate the top with the vanilla frosting. Top with a banana chip and a Nilla wafer! Makes 18 cupcakes. Refrigerate until ready to serve. Preheat oven to 350 degrees. Prepare a cupcake pan, by lining it with cupcake liners. 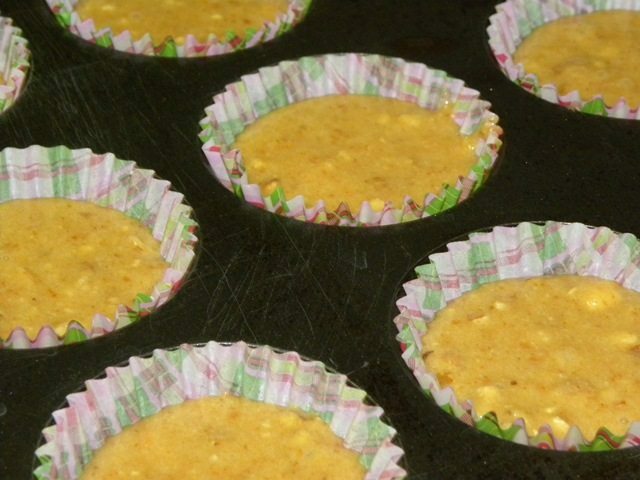 While cupcakes are cooling mix together the filling. 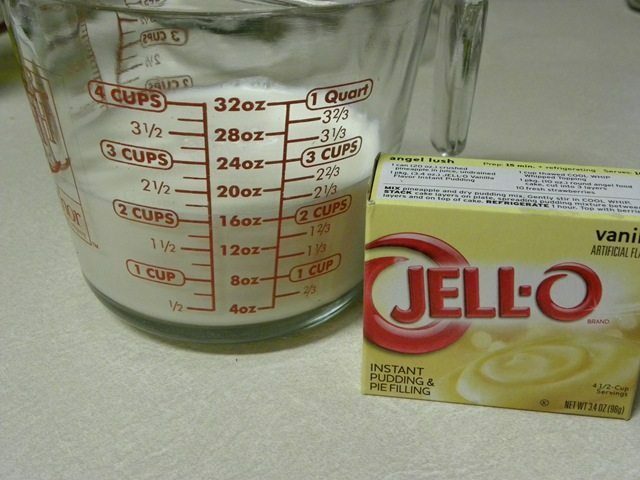 Wisk together the Jello pudding mix and milk and refrigerate until set. It will take about 15-20 minutes. Then decorate the top with the vanilla frosting. Top with a banana chip and a Nilla wafer! Are you looking for another great dessert? Thanks for the recipe. I tried these tonight and my husband and daughter have been snacking on the “cores” since I started taking them out of the cupcakes. My husband has loved them so thanks again for helping me to get rid of some of the penny wafers from this week. You guys are too funny! I just make a simple buttercream, and I am not a measurer. 🙂 So, I use a half of stick of softened butter (crisco if it is for my daughter), and about 1 lb powdered sugar. I mix them with my mixer on medium speed. I add 1 tbsp vanilla, and I add milk 1 tbsp at a time until it is the right consistency. Voila! 🙂 That’s it. 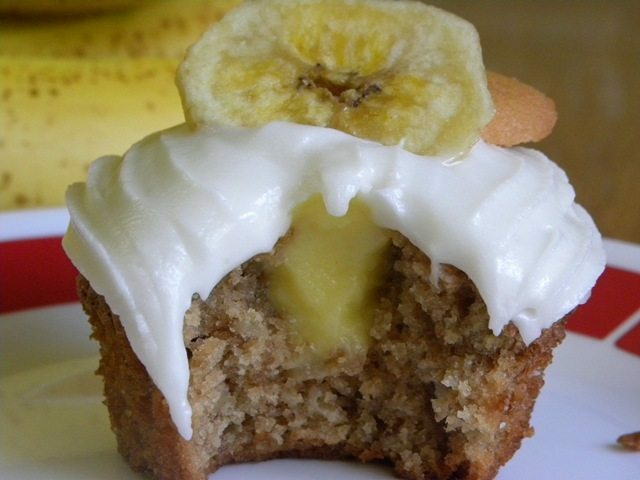 I’ve never made banana cupcakes! Yum! These look amazing! Thanks so much for sharing them on Cupcake Tuesday! This looks amazing, I’m going to try it but because of the others I have to please, I will do a vanilla based cupcake and banana pudding inside. Thank you for sharing. 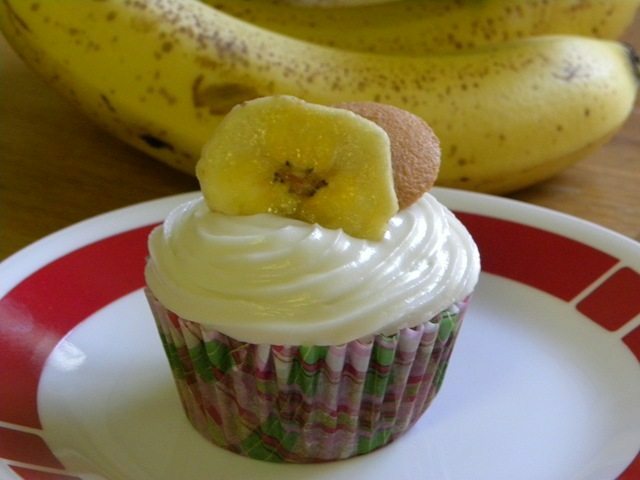 I tried to make a banana pudding cupcake a little bit ago but mine ended up being a banana moo pie cupcake which was AWESOME!!!!! It was totally easy and very yummy!!! !